Located about 10 minutes from the Las Vegas Strip, this "village-style" center has more than 150 outlet stores as of 2018. Bargain hunters will find substantial discounts at top designer outlet stores and popular name-brand outlets. The mall also offers coupons and additional savings. 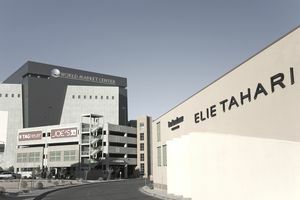 Some of the main stores at the mall include A/X Armani Exchange, Ann Taylor Factory Store, Burberry, Calvin Klein, Coach, Cole Haan, Dolce & Gabbana, Elie Tahari, Lacoste, Nautica, Nike Factory Store, Polo Ralph Lauren, Salvatore Ferragamo, St. John, TAG Heuer, Theory, True Religion, and Zumiez. Those looking to grab a bite while out shopping will find more than a dozen locations on site for dining and snacking. Some of the options include Chipotle, Kung Pao Wok, Shake Shack, South Philly Cheesesteaks & Fries, Starbucks, Subway, and the Cheesecake Factory. The mall is open from 9 a.m.–9 p.m. Mondays through Saturdays and from 9 a.m.–8 p.m. on Sundays. Las Vegas North Premium Outlets offers sales events scheduled throughout the year, including special sale weekends for Memorial Day, Independence Day, Labor Day, Columbus Day, Veterans Day, and back-to-school shopping in August. One of the most popular events at the outlet center is the After Thanksgiving Weekend Sale featuring Midnight Madness. Additional coupons and exclusive discounts are available by joining the VIP Shopper Club. It is open to all shoppers regardless of how often you shop or how much you spend. First-time visitors and travelers along with frequent shoppers can sign up and take advantage of the extra savings. Registration is easy and free. VIP members are allowed access to a special coupons page based on which favorite locations are selected during registration. It is not unusual to find several coupons offering 20 percent off. Planning on staying the night? The hotels nearest the mall are the Stratosphere Hotel, about two miles away, and the Golden Nugget Hotel and Casino. Being located in Las Vegas, countless dining options, nightlife spots, and other attractions are available. The nearest restaurants, if looking for something other than typical mall fare, include Casa Don Juan, Jason's Deli, Lola's: A Louisiana Kitchen, and Triple George. Nearby attractions include the Mob Museum, the Neon Museum, and Madame Tussaud's Wax Museum. Right across the street from the mall is the Smith Center, which regularly hosts plays and concerts. The mall does not offer any shuttle services, but multiple bus services make stops at the shopping center, and several taxi and limousine services also serve the mall. Big Bus Tours plans trips to the mall. Groups of 10 or more receive additional discounts when visiting the mall. They simply need to book their outings in advance. The outlet mall is about a 10-minute drive north by car from the Las Vegas Strip, directly off I-15 at Charleston Blvd. or two miles north of the Stratosphere. The address is 875 South Grand Central Parkway in Las Vegas.